Firstly, we need to get under the skin of your business to discover who you really are, research your marketplace, and determine your objectives. Our graphic design team get all creative and produce completely bespoke designs to meet your brief. NO templates or short cuts here – we design everything from scratch. Our ingenious programmers transform the design into a working website using the very latest in web programming techniques. These guys really know their stuff so that you don’t have to! We believe in rigorous testing for usability on all devices. We also think websites should constantly be analysed and evolved in order to maximise your ROI. When everybody is completely happy with the project, we launch it to the outside world. But that’s not the end – it’s just the beginning of a relationship to help your business grow through intelligent digital marketing and SEO. Beautifully bespoke pay monthly web design, say goodbye to upfront fees. You won’t get a second chance at a first impression, so make the best impression possible! Our Pay Monthly Websites are perfect for businesses of all sizes. We design every website from the ground up, once we have your brief we get to work on a bespoke design concept ready for you to review. 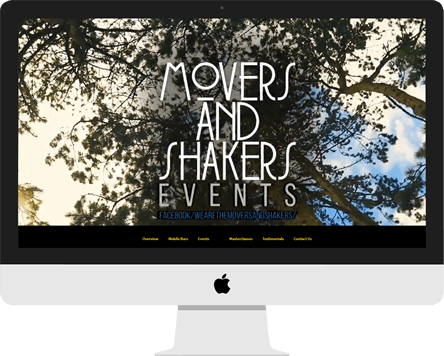 All websites we build are fully responsive, this means they’ll look great on mobiles, tablets, laptops and desktops, essential for any new website. You can choose to pay monthly or pay upfront, whatever is easier for you. The monthly charge on upfront websites covers your hosting and support. We offer superior support with all website packages, if you need something changed and can’t do it yourself simply get in touch and we’ll do it for you. If you need to sell online we have it covered however we need to know a little more about your requirements, contact us to get a quote now. If you need to edit text, images or add video you can easily manage your website using our state of the art website content management system. A good-looking, eye-catching minimalist logo gives your customers a lasting first impression that sticks, putting your brand centre-stage when they next make a buying decision. You may think that a great design requires a huge budget—but that’s simply not true! Q. Are there any setup fees? A. If you choose a pay monthly package then no. Q. Am I tied in to any contracts? A. If you choose a pay monthly package yes there is a minimum 12 month term. This is because we invest a lot of time in the initial design and build. Q. What happens after the 12 month term, do I still pay? A. Yes, if you are on a pay monthly package, you pay for the life of the website, this price also includes your hosting and unlimited free support. Q. What if I do not like what you design for me? A. Not to worry, we keep designing your website until we have something you are 100% happy with. Q. Can you design my logo too? A. Yes take a look at our graphic design services. Q. Do I own the website? A. Yes the website is yours, after the 12 month period you are welcome to transfer away however you will not get the level of support we offer and you will not be able to update our website using our content management system, you would need to find a new web designer to setup the site elsewhere. What are you contacting about?